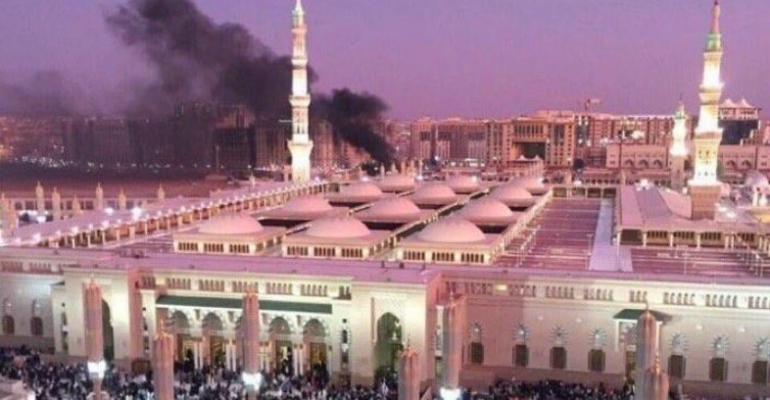 Sheikh Khaled bin Ali Al-Ghamdi, imam and khateeb of the Holy Mosque of Makkah, said the biggest sin a person can commit is killing the innocent, causing destruction, creating chaos and tampering with peace. During his Friday sermon, he said criminal groups, sectarian terrorist organizations and enemies are behind terror acts. He said whatever has happened in this holy land in last days of Ramadan is a tragedy for Muslims and those who love the Two Holy Mosques. He said it was a painful and worrying incident because it happened in the land where the Holy Qur’an was revealed. He said people are wondering where the attackers came from, who violated the sanctity of human life. He said such a practice is alien to Muslim societies in general, and the country of the Two Holy Mosques in particular. He urged world Muslims to stand firmly and show unity against such practices. He urged scholars, thinkers, politicians, media persons to defend society. Sheikh Hussein Al Al-Sheikh, imam and khateeb of the Prophet’s Mosque said people were taken by surprise by the three acts of bloody explosions. He highlighted the role of the media in creating stability in society, and warned Muslims against rumors and lies.